Once you’ve set up your own company, you can start to hire Chinese staff, but to do that you’ll need to register them for China’s social welfare programs. Here’s an introduction to some of the rules concerning the recruitment of Chinese labor: whereas hiring foreign staff requires one to apply to the authorities to get them a work visa and work permit, and you are automatically eligible to hire Chinese as soon as you finish registering your employees’ social welfare accounts, as outlined below. What are the Five ‘Insurances’ Plus the Housing Fund? Pension: Cost to Company is usually 20% of the Employee’s salary, substantially lower in some cities and cost to the Employee is usually 8% of the Employee’s salary, uniform rate nationwide. Medical Insurance: Cost to Company is usually between 7%-12% of the salary, substantially lower in some cities and cost to the Employee is usually 2% of the Employee’s salary, substantially lower in some cities. Work-Related Injury Insurance: Cost to Company from 0.4%-3% of salary depending on the location and degree of danger of business engaged in and cost to the Employee ‘ No contribution required. 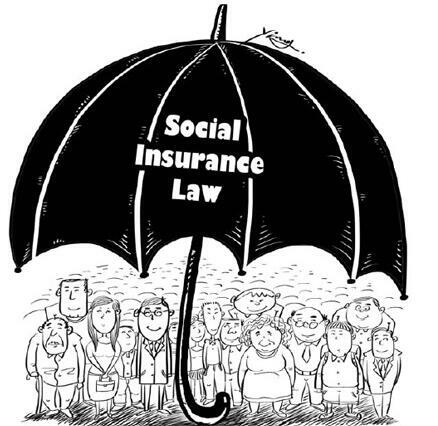 Unemployment Insurance: Cost to Company is usually 2% of salary but sometimes 1% and only 0.4% in Shenzhen and cost to the Employee is usually 1% of the Employee’s salary. Maternity Insurance: Cost to Company from 0.5% of salary depending on location (no contribution at all in Dongguan). Cost to the Company. Housing Fund: Contribution towards Housing Funds are mandatory and come from both the Company and the Employee determined by local Government, Housing Fund regulations apply to the Employees in all geographic regions of the country. Contributions must be calculated based on each Employee’s average monthly wage over the last year. The actual percentage differs per city or province. Go to your local Social Insurance Management Center to set up an account for your company. Each city will usually have one of these in each district. For the addresses of the first-tier Chinese cities, look towards the bottom of this article. You can now start employing Chinese staff! Next, you need go to the local Human Resource and Social Security Bureau to register your employees onto the employment record. Completed registration form of employment record with your new employees’ names and a brief introduction of each of them. You can get this in the bureau and it should be completed in triplicate; one should be submitted with the above documents at the Human Resource and Social Security Bureau, one copy should be submitted when you return to the Social Insurance Management Center (see below), and one should be kept for your company’s files. Now you must actually register your specific employees. You will only need to do the above two procedures the first time you employ a Chinese person; the following procedure applies for each Chinese person you hire from then on. Return to the Social Insurance Management Center with the following documents to register the employee (or, if they already have a social insurance card, use the following documents to change their employer’s information to your company). It takes about two months to get the new employee’s social insurance card ready, but they can begin working straight away and you will need to start paying into their social security account from their very first paycheck. Every Chinese citizen at birth is given a personal archive, which is stored at the same local talent center where their hukou is registered. When people move home from area to area – for study or for employment – their personal archives are transferred along with them, to the relevant talent center. In order for the employee to get a Personal Archive Transfer Letter, you should give them a letter (with your company’s official stamp or “chop”) stating that they work for your company, as well as a stamped copy of your company’s license. They will then take this to the talent center in which your company is registered (depending on the size of the city in which your business is registered, this will either be a city talent center or a district talent center). After the talent center has given them the Personal Archive Transfer Letter, the employee should take it and their ID card to the talent center where their personal archive is stored; the transfer will then be processed.